Founded in 1951, Texas Instruments or TI is an American electronics company that designs and manufactures innovative products used by a number of electronics companies, helping them to develop new technologies that make the world smarter, safer, greener, healthier and funnier. With headquarters located in Dallas, Texas, USA, TI's third largest semiconductor manufacturer in the world after Intel and Samsung, the second largest provider of mobile-phone chips after Qualcomm and the largest manufacturer of digital signal processors (DSP) and analog semiconductor, but also a wide variety of other semiconductor devices, including calculators, microcontrollers and multi-core processors. Texas Instruments is among Top 20 Semiconductor producing companies in the world. With around 30,000 employees and operating in more than 35 countries worldwide, TI provides semiconductor technologies contributing to greater energy efficiency and adds more value in everything they do. The vast variety of innovative analog chips, which Texas Instruments offers allows more than 90,000 customers to cope with the challenges of designing in a way that allows them to create and deliver high-quality electronic products to final customers. Texas Instruments creates innovative ICs for industry, energy, medicine, public safety, and also create consumer products that enhance quality of life. TI creates data converters that increase the accuracy of industrial test systems, amplifiers that improve picture quality and sound surveillance cameras interface which enables files high speed downloading to HD picture quality. TI's microcontrollers, digital signal processors and cost-optimized embedded digital systems find application in automation of telecommunications, renewable energy and control. 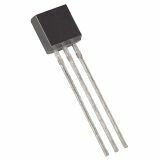 VIKIWAT Ltd. is a wholesaler and retailer of a variety of semiconductors from Texas Instruments, as well as from other leading manufacturers. In our online and offline stores you can find in stocks, flexible pricing and fast delivery. 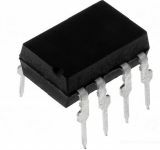 Integrated circuit RC4136N, operational amplifier, 18V, 1MHz, DIP14 Four channel RC4136N operational amplifier with 18 volt power supply, 180 mW power, 1 MHz band and body DIP14. Integral circuit NE556N, 500kHz, 4.5~16VDC, DIP14 NE556N Peripheral Integral Scheme of Astable, Monostable, Two Channel RC Timer, DIP14 Case, 200 mA Output Current and 10 V Rated Voltage. List Price 0.60лв. VAT Incl. 0.54лв. VAT Incl. 0.51лв. VAT Incl. 0.48лв. VAT Incl. Integrated circuit diagram CD74HC4051E, TTL compatible, DIP16 IC 74HC4051, TTL compatible, HIGH-SPEED CMOS LOGIC ANALOG MULTIPLEXERS/DEMULTIPLEXERS, DIP16. List Price 0.40лв. VAT Incl. 0.36лв. VAT Incl. 0.32лв. VAT Incl. IC 74HC00 CD74HC00E, NAND gate, DIP14 Integrated Circuit 74HC00E, with logic function NAND gate. Integrated Circuit CD4013BE, D-type, DIP14 IC CD4013BE with supply voltage 3 to 18 VDC. Operational amplifier DIP8, +/-18V, TL081IP Operational amplifier model TL081IP, DIP8, supply voltage + 18 VDC / - 18 VDC, operating temperature from 0 °C tо 70 °C. 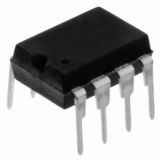 Integrated Circuit 4018, CMOS, Div-By-N Counter Presettable, DIP16 IC 4018, CMOS, Div-By-N Counter Presettable, DIP16. 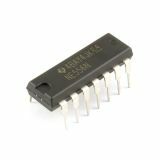 Integrated Circuit, 4024, CMOS, Ripple-Carry Binary Counter / Dividers, DIP14 IC 4024, CMOS, Ripple-Carry Binary Counter / Dividers, DIP14 Russian analog: К176ИЕ1. 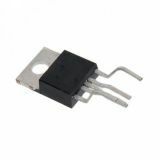 Dual operational amplifier DIP8, +/-18V, RC4558P Dual operational amplifier model RC4558P, DIP8, operating temperature from -40 to +85 °C. Integrated Circuit CD4017BE, Counter-Divider, 3~18V, 1.5mA, DIP16, THT Digital integrated circuit diagram CD4017BE of counter type, divider with housing DIP16 for THT mounting. List Price 1.50лв. VAT Incl. 1.43лв. VAT Incl. 1.35лв. VAT Incl. Integrated Circuit CD4026BE, CMOS, Decade counters/dividers, DIP16 IC CD4026BE, CMOS, Decade counters/dividers, DIP16. List Price 0.99лв. VAT Incl. 0.90лв. VAT Incl. 0.85лв. VAT Incl. 0.80лв. VAT Incl. List Price 0.95лв. VAT Incl. 0.90лв. VAT Incl. 0.85лв. VAT Incl. 0.80лв. VAT Incl. 0.75лв. VAT Incl.